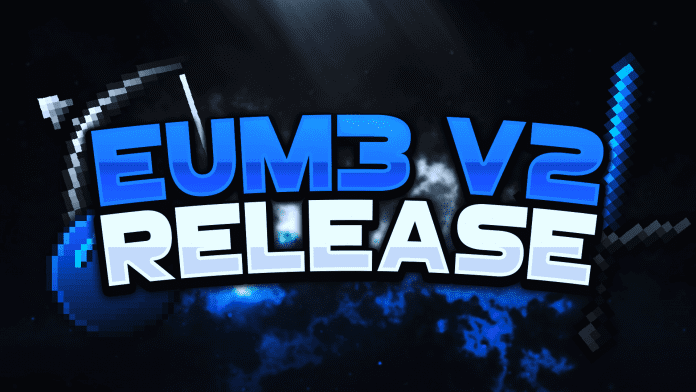 Eum3Blue V2 PvP Texture Pack was created by the rising star pack maker iSparkton. He released it on the 16th of November 2018. 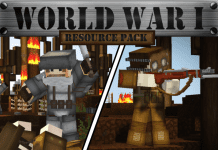 This texture pack features blue themed armors and weapons set which replaces your Diamond equipment set. 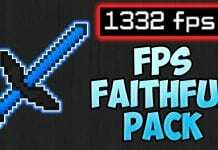 This resource pack has low-fire, great frames per second and a very interesting custom UI. Eum3Blue V2 PvP Texture Pack has a nice and sleek looking user interface. 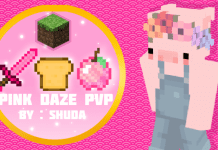 This PvP UHC texture pack has custom particles which look bloody but loads fast. This Texture Pack also features very fast FPS, and a very good looking custom night sky. Just by looking at the night sky you can see that iSparkton has taken his time on it. It is blue space dust, with a blue moon, with blue aura radiating from it. If you don’t know how to install the Eum3Blue V2 PvP Texture Pack just look below, we’ll provide you with a short tutorial there. This installation guide should work with all Minecraft versions. To see the Official Download Links just scroll down. 2. 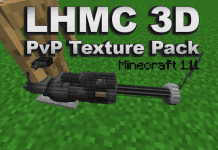 Download the Eum3Blue V2 PvP Texture Pack from the official links.